Lobsters make the world go ’round! 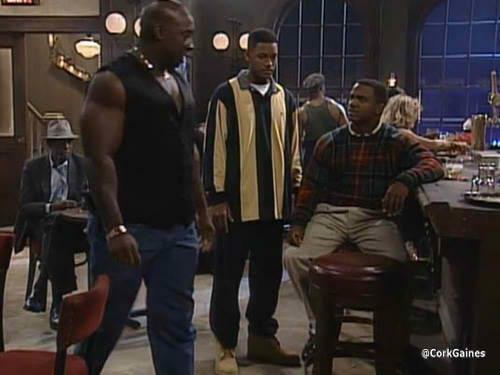 As noted in my previous MCD post about his death, imdb told us that Michael Clarke Duncan was in the Fresh Prince of Bel Air at some point in time. However, there was no such photo on the internet. So, I sent out this tweet, with zero hope that anybody would come through. I stand corrected. 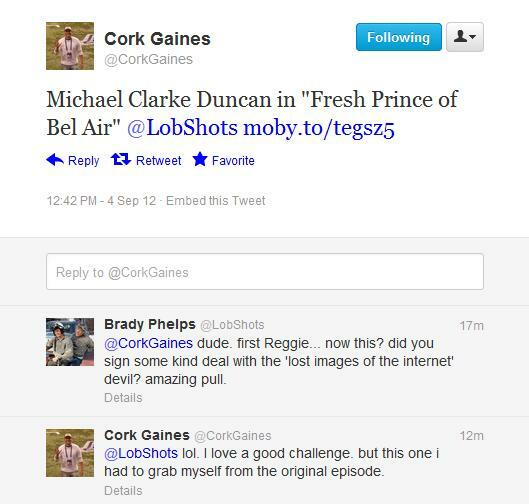 Bada-bing-bada-boom… Cork Gaines to the rescue with the above image. He went and found the original episode, watched it, and got the screengrab. That’s some freaking dedication. Go follow the man on twitter. Stallion. This entry was posted in Celebrities, Entertainment and tagged Michael Clarke Duncan, Michael Clarke Duncan Fresh Prince of Bel Air. Bookmark the permalink.